To that list of great Western film bad guys, I should have included the names of I. (for Irving) Stanford Jolley (the Lee VanCleef of his time), George J. Lewis and Jack Lambert. Roy was born in Crab Orchard, Nebraska in 1909 and made his first movie in about 1930 as an extra. But in the 1940's and '50's, he appeared as the "heavy" lead in seemingly hundreds of Republic and Monogram western features ("oaters") and serials. He was my favorite Western 'bad guy' when I was a kid, and on my request, sent me an autographed 8x10 glossy which I treasured. (Sadly my Mom threw it away when I was off at college...along with my comic book collection...because I had put it in a picture frame at home, over a portrait of one of my cousins.) 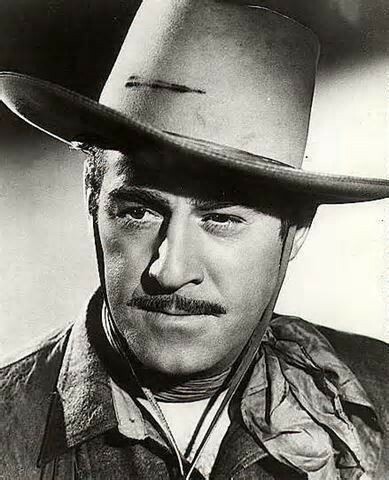 The high spot of Roy's Hollywood career in my opinion was his appearance as the Sheriff in the movie of "Oklahoma", and later in the 1960's, at the end of his acting career, he had a featured role in the "Spin and Marty" series produced by Disney. Other great Western bad guys from back in those days were Harry Woods, Eugene Stutenroth, Lane Bradford, John Merton, Robert Wilke, and Pierre Watkin.